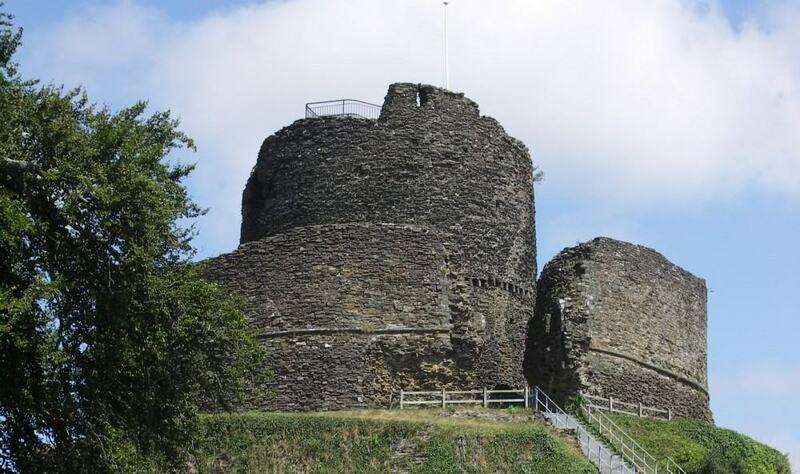 Launceston Castle is a very fine example of a Norman Motte and Bailey fort with a stone keep on a raised mound (the motte) and an enclosed courtyard (the bailey). The unusual round tower of the keep was built after the Norman Conquest in the 13th century and commands impressive views. Once occupied by Richard, Earl of Cornwall, it fell into disrepair. In fact, the Parliamentarian forces didn’t bother with Launceston Castle on their march West and it later became a Cornish Royalist base for the defence of the county. It was used as a prison in the latter half of the 17th century and George Fox, founder of the Quaker movement, was incarcerated here in 1656 for eight months. Today the bailey remains, although the building itself is long gone, and you can walk around the motte battlements. Close to the centre of Launceston town, this is a lovely place for children to run around and explore and you can picnic in the grounds with extensive views of the countryside. 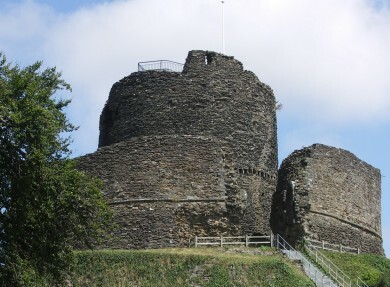 There’s a small museum with many artefacts from over a thousand years of history at Launceston Castle.